To end with a perfect finish you have to arm yourself with a perfect start. The best fine haircuts begin at the shampoo bowl. Start by shampooing the hair with a volumizing shampoo and conditioner. 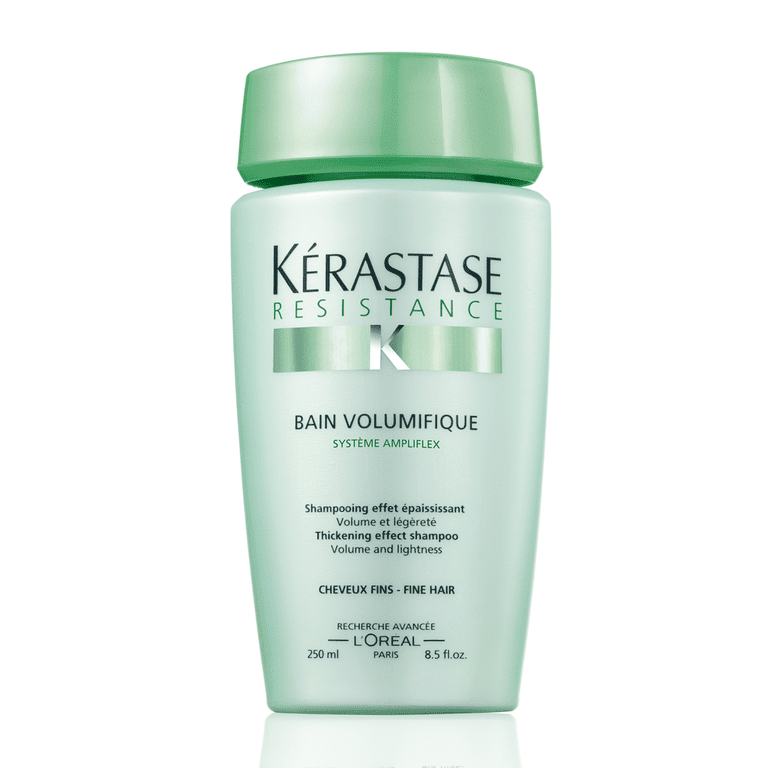 One of my absolute favorites is Bain Volumactive by Kerastase. This product is expensive but well worth it, it actually works! Kerastase products are extremely concentrated, so make sure to let your clients know this as a selling point. Quick Tip: If the hair is very fine, apply conditioner to the ends only. The next step is to determine the best shape and cut for your fine haired client. The goal with fine hair is to build up weight, not too remove too much. This can be a hard concept for all of us at times, and you can often find yourself stumped when you've cut too much. The most important thing to remember with fine hair is that less is more. Quick Tip: Unlike thick hair, fine hair loses volume when you layer it. Maintain weight at the perimeter for the fullest finish. A great trick to help you maintain bulk is isolating sections of the hair as you cut it so you don't go overboard. Take a zig-zag section around the base of the hairline and clip it away into a ponytail. Then cut the rest of the hair as you normally would. When you're finished, release the ponytail section and blend it into the top. This will leave you with a fantastic shape while still maintaining the bulk that all fine-haired clients need. Avoid letting fine hair get too long. Fine hair tends to look fuller when it sits at the collarbone or above. It is ok to layer fine hair but stick to long layers and don't cut into them too much. If their hair is wavy, you can layer a bit more as the layers will bring out some fullness. Cut the perimeter in a diagonal-forward moving line, the strong shape will make the hair appear thicker. Choose a style that will look great when the hair is tucked behind the ear. By moving the hair from the front of the ear to behind it, you will create bulk and the hair will look fuller. 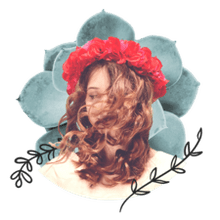 The most important thing to educate your fine haired clients about is styling products. In the land of volumizers, the technology keeps getting better and better. The products on the market right now really work and give wonderful results. Below you will find my favorites. Stay away from shine mists and serums to avoid a greasy mess. Waxes and pomades should also be avoided as they make the hair sticky and clumpy. Now that your client has a great cut and you've educated them about the right products and how to use them, make sure to explain the importance of maintaining their hair cut. Fine haired clients tend to have to cut their hair more often than others. Since fine hair is more delicate, it will always benefit from regular trims.